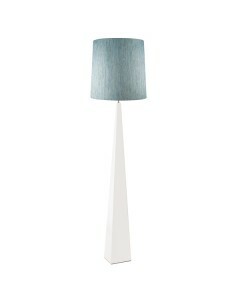 Accent your space with this Ascent 1 light table lamp and its architecturally inspired design. 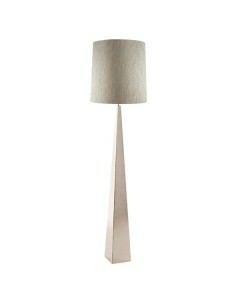 Tapering towards the top, its sleek pillar base has an obelisk silhouette, evoking thoughts of Egyptian architecture. 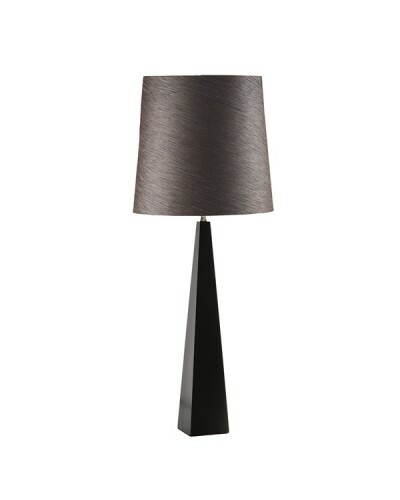 The table lamp is made from quality steel and is finished in a beautiful Satin Black. The fabric lampshade is hand made in a fine material. 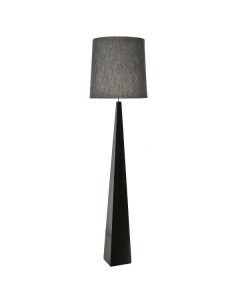 It consists of a tapered drum which softens the glow of light in a Juniper Slate colour. This rounded shade has a diameter of 30cm. 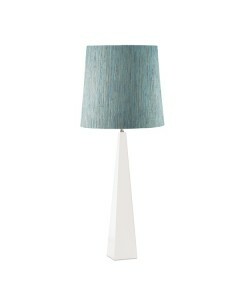 This table lamp is complete with the shade and stands at a total height of 73cm and width of 30cm. This lamp is part of the Elstead Lighting Collection. A company who like ourselves have been established since 1967. We both share the same simple philosophy which represents everything on this website - to innovate, inspire and excite.